We all know what fruit cocktail is. And we know it doesn't have anything to do with alcohol-the word "cocktail" in the name refers to the secondary definition "An appetizer made by combining pieces of food, such as fruit or seafood". 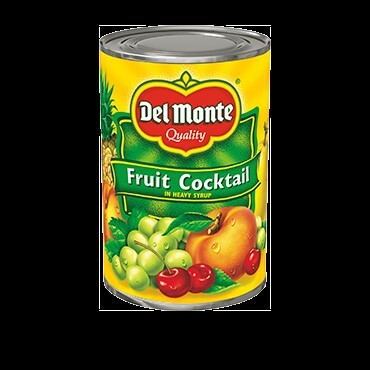 We've all eaten it in Jello® and ambrosia salad, and even straight from the can, but it's easy to branch out from there. And why not? This unassuming fruit combination goes on sale frequently, stores for a year or more, and is easy to build desserts and breakfast foods around. 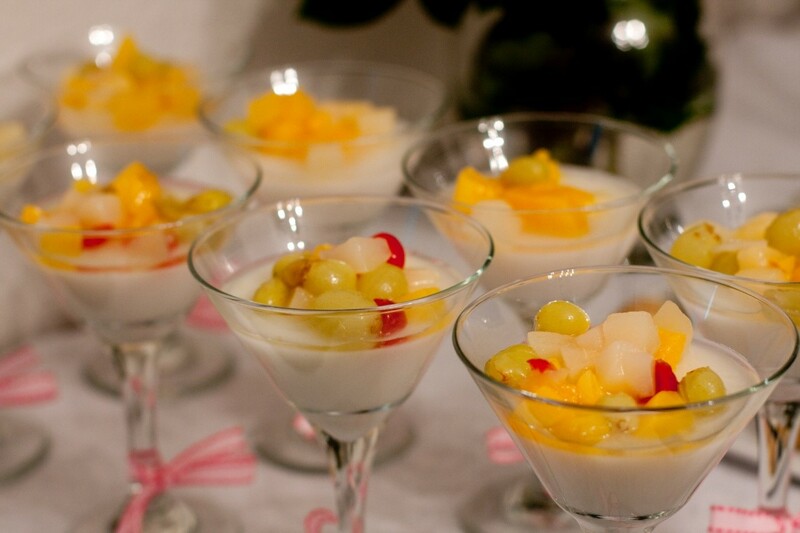 I started fiddling around with fruit cocktail by adding it (drained well) to tapioca and vanilla puddings. From there I experimented with thickening the entire can with cornstarch and pouring what turned into a sort of pie filling, over vanilla ice cream. But Aunt Annie branched out even more. She used to drop by every once in awhile with her famous Fruit Cocktail Cake (warm because she brought it straight out of the oven). We'd pull out the vanilla ice cream and put the two together. It was always "die and go to heaven" time. 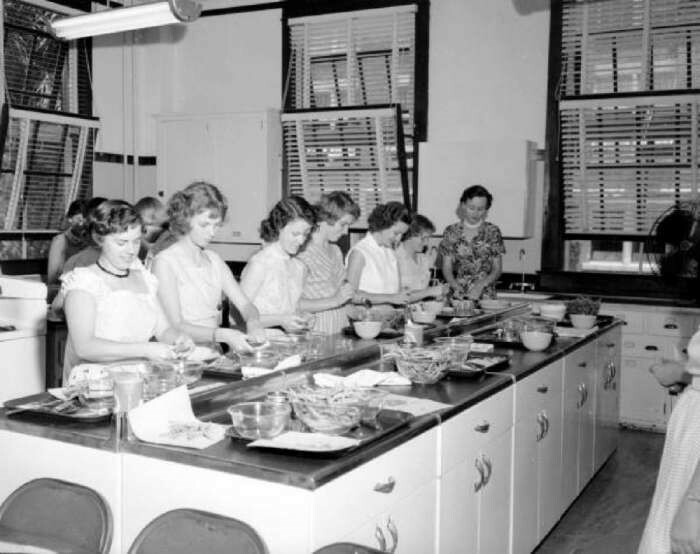 Then there was the year I took Home Economics (is that even taught today?) in high school. Our teacher, Mrs. Crandall, had one goal in mind for us: learning how to turn out a flakey pie crust. And she accomplished this through her really fun and easy recipe, Fluffy Fruit Cocktail Pie. Her recipe (below) says to use a graham cracker crust, but when we made it, she had us make and bake a traditional pie crust. When she gave us the recipe I asked "Why the graham cracker crust instead of a pre-baked pie shell? "and she winked and told me "Sometimes an exceptional pie crust is beyond some cooks." Nonetheless, this was probably our favorite class recipe! 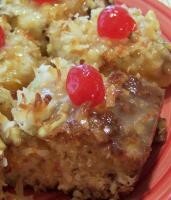 And Fruit Cocktail Bars was the first recipe I dared bring to a neighborhood gathering when I was first married. It never failed to turn out just right or please the eaters. It's also fast and easy to make and incredibly delicious. Finally, there's the breakfast bars our neighbor, Francis Weaver, brought over after I had my first baby. These have become our family's favorite breakfast treat. Who knew this no-bake recipe that combines Grape Nuts® cereal, oats, honey, yogurt, dry powdered milk, and a can of fruit cocktail could result in something so scrumptious? Take a look at these recipes and you'll see why you want fruit cocktail on hand. It is so many surprises in a can! Mix well and pour into a greased and floured 9x13 pan. Bake at 325°F for 1 ½ hrs. 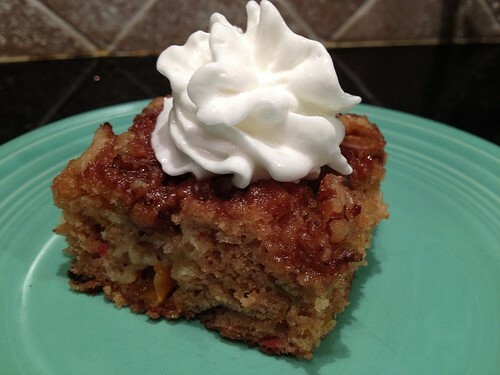 Cake may be topped with 1 ½ C brown sugar and 1 ½ C chopped nuts before baking. This is our favorite approach to this delicious cake. In large bowl, stir together cream cheese, pudding mix, dry milk, and water. Fold in ½ C whipped cream. Add fruit cocktail. Mix gently to combine. Pour mixture into piecrust. Sprinkle with coconut. Chill until ready to serve. Serve with the remaining whipped cream. 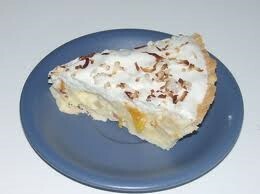 You can vary the flavors of pudding, fruit, and crust. Chopped nuts sprinkled on top instead of the coconut, works well also. 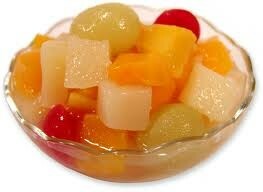 Drain fruit; reserve 1/3 cup of syrup. Chop fruit; set aside. Cream butter and sugar; beat in egg and vanilla. Stir flour with baking powder, soda and 1/4 t salt. Mix reserved syrup with cherry syrup. Add flour mixture alternately with syrups to creamed mixture; mix well. Stir in fruit, coconut, and cherries. Spread in greased 9 X 9 X 2-inch baking pan. Bake at 350 degrees for 30 to 35 minutes. Cool. If desired, sift powdered sugar over top and cut into bars. Butter an 8-inch square pan. Mix Grape Nuts® and oats together and line pan with about 3/4 cup of the cereal mixture. In a blender, combine honey, yogurt, fruit, and milk powder. Blend until smooth. Fold in 1 cup of the cereal and raisins, if desired. Pour yogurt mixture into pan, and sprinkle with remaining cereal. Freeze for at least 4 hours. Cut into rectangles; they will look like ice cream sandwiches.